Then: Composer Vince Clark is perhaps one of the most prolific songwriters of the synthpop genre, having previously been a member and principle songwriter for Depeche Mode’s first album and creating the short-lived, but highly influential Yaz. 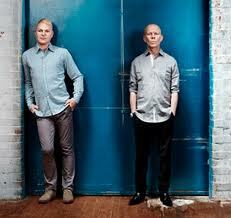 Vince recruited Andy Bell, and together they formed Erasure and released their first album, Wonderland in 1985. Although it contained the now classic hits Who Needs Love Like That and Oh L’amour, it failed to make much of an impact when it first came out. 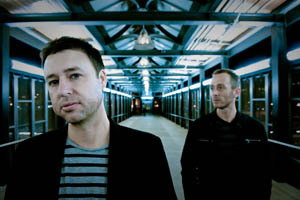 Things changed, however with the release of their second album, The Circus, whose lead single, Sometimes peaked at number 2 and became their highest peaking UK single. Success still alluded them in the US, but that changed with their third album, The Innocents, with 2 top 20 singles; Chains Of Love and A Little Respect. They would crack the top 20 only one more time in America with 1987’s Always, but had continued success in native Britain, scoring a top 10 hit as late as 2005 with Breathe (also a hit on the US Dance Club Charts). Erasure - A Little Respect from Melanie Roberts on Vimeo. Now: Erasure are about to release their fourteenth! 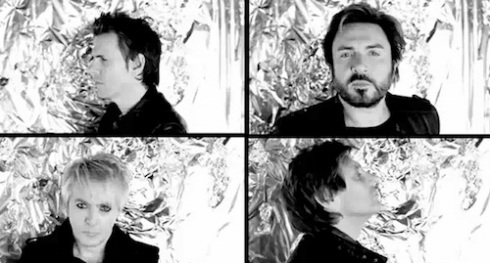 studio album, called Tomorrow’s World, which is their first album in 4 years. To coincide with this release, Erasure will embark on a US tour and bop2pop already has his ticket and will be sure to tell you all about it! First single, When I Start To Break It All Down is typical Erasure. What do you think? Then: The year was 1982. 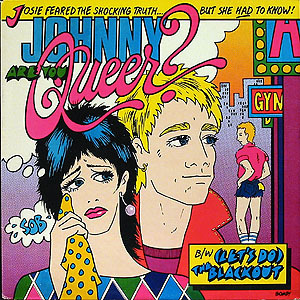 Johnny Are You Queer, a hilarious, tongue planted firmly in cheek anthem for disappointed faghags throughout the world and the gays who loved them, would propel Josie Cotton to novelty status and one semi-hit wonder. It also contained, in bop2pop’s humble opinion, the best album sleeve of all time. Things were looking very bright for Josie Cotton as she performed the single in the 80s Cheese-tastic film, Valley Girl. But just as quickly as her rise to cult fame was, so too was her decent into obscurity. A quick look on Wikipedia mentions a cameo in a low budget horror film in the mid 1980s alongside Adam Ant?! but nothing else. Now: Josie Cotton has reappeared out of seemingly nowhere with a new single, See The New Hong Kong, which finds Josie, again, tongue planted firmly in cheek, this time, hoping to win over an entire city. Check it out. Then: The Human League formed in Sheffield, England in 1977. Worldwide success alluded them until 1981, when after creative differences caused bandmates Martyn Ware and Ian Craig Marsh to promptly leave the band and form Heaven 17. Lead singer, Philip Oakey faced without having a band to tour with, recruited teenage backing vocalists Susan Ann Sulley and Joanne Catherall in a nightclub and asked them to join him on tour as dancers and incidental vocalists. This collaboration resulted in them officially joining, and their next album, Dare would be met with international acclaim and is now considered one of pop music’s most influential albums. The single, Don’t You Want Me, accompanied by a splashy big budget video, would go on to sell over 2 million copies and make them household names. The band continued to have a string of hit albums and singles including Mirror Man, (Keep Feeling) Fascination and what bop2pop feels is waterdowned dreck, Human. Now: The Human League have been active, releasing albums and singles ever since (Romantic (1990), Octopus (1995) and Secrets (2001)). This past year saw the release of Credo, their first album in nearly 10 years. Sadly, first two singles Night People and Never Let Me Go failed to make much of an impact both commercially or in bop2pop’s personal opinion, so now they are giving it another go with third single, Sky, which is more of a return to their roots, albeit, a funkier one (the warmth of it ironically sounds like something Martyn Ware and Ian Craig Marsh would collaborate on if they had never left). Then: Blondie became one of the most influential and successful bands of the late 70’s to early 80’s. They evolved out of the New York punk scene and are considered one of the forefathers of the New Wave movement. What made the band unique was their ability to incorporate a wide variety of musical genres like disco, reggae and rap to their new wave sound. Their string of hit albums and singles came to a halt in 1982 with the release of the album, The Hunter. Critically panned and a commercial failure, things began to fall apart. Tensions between band members rose, and this coupled by drug abuse and the life-threatening illness of founding band member and Debbie Harry’s lover, Chris Stein, led the band to break up. Debbie Harry would spend the next several years by his side as he recovered. She would also launch a moderately successful solo career in the 90’s, and it was during this time that her decades long relationship with Chris Stein, who had recovered, ended. 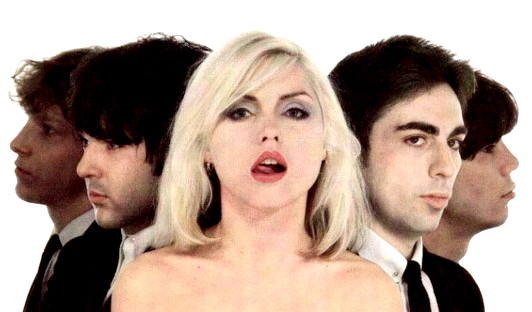 Now: Blondie resurfaced briefly in 1999 with the album No Exit and single Maria, which was a moderate hit. Now they are back and ready to give it another shot. Mother is the first single to be taken from the forthcoming album, Panic Of Girls. You are currently browsing the archives for the Where Are They Now category.